PEC's Summer Update is Here! Download the entire Summer 2013 PEC Update here! I am pleased to share the Summer edition of the PEC Update with you. Please click here to view the Update online. Inside you will find an update on PEC’s advocacy work, a preview of worship themes for the upcoming PEC Conference, information to help you cast your vote for PEC Steering Committee members for 2013, details about the new partnership between Presbyterian Environmental Ministries and GreenFaith, and much more! PEC's main focus of Advocacy for the past year has been on fossil fuels as noted in the excellent resource PEC Policy Priorities 2012 which highlighted four priorities: hydraulic fracturing (fracking), mountaintop removal, coal mining and export, and the tar sands pipeline. PEC is currently in deep conversation with a PC(USA) group entitled "Divest PC(USA)" discussing Bill Mckibben's call to divest from fossil fuel companies. • Share your thoughts/prayers on PEC's Facebook page. • Write an overture. PEC is CALLING for OVERTURES! This is a fascinating process and can be very helpful in setting official PC(USA) policy. We can help give you guidance in determining what areas to write about and how to go about the process. It is urgent to start soon as there are many steps in the process and it will need to be voted in by your Presbytery by late 2013 or very early 2014. GA is in Detroit June 14-21, 2014. Areas related to environmental justice could include social and economic justice and the moral imperatives associated with both. • Join the new PEC yahoo e-mail group if you are interested in keeping up with emails about PECs three advocacy groups and the call for overtures. Email us at presbyearthcare@gmail.com to be included. 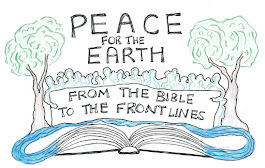 • Register for our PEC conference, Ethical Earth Care: Keeping Creation Sacred, Oct. 16-19. In addition to many other excellent plenary, worship, and workshop sessions, there is one on writing overtures, plus several on areas of advocacy. There are multiple areas that call for us to study and share. Sustainable lifestyles include critically looking at climate change, clean air, water, soil, transportation systems, health care, ethical eating/food/agricultural systems, and sustainable communities. It certainly also includes fair trade (particularly the Trans-Pacific Trade Agreement which is very bad news) population of the planet, inequitable lifestyles/income, and land grabs. Thank you, PEC members and friends, for sharing your passion in Earth-caring. The Steering Committee looks forward to working continued work together.